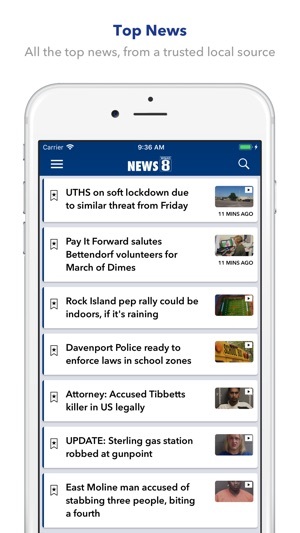 Livestreaming, breaking news notifications, and all the local news you want from WQAD News 8 in a fast, high-performance app. 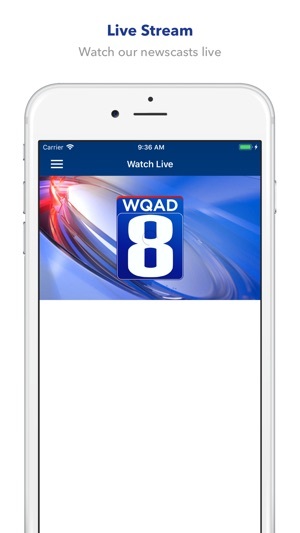 Never miss WQAD News 8 - you can livestream our newscasts right from your phone or tablet. 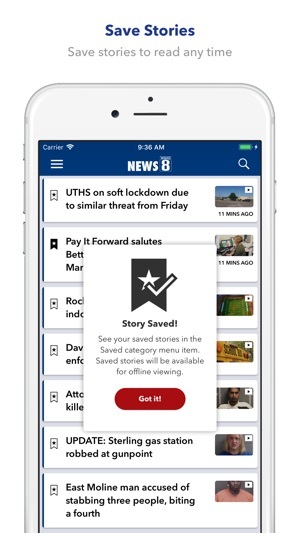 Save stories to read later, and share easily to Facebook, Twitter, and other social networks. Get a head start on your day with WQAD News 8 traffic and weather maps. 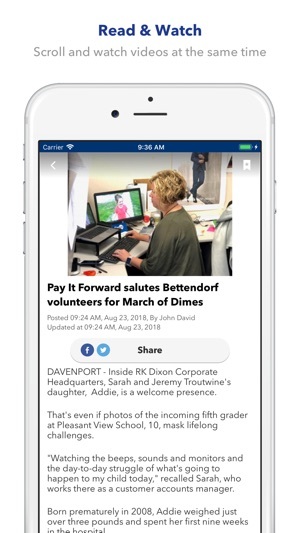 Enter our latest contests and promotions right from your phone, and catch up on all your favorite segments from WQAD News 8. Please stop forcing us to click on a message in the message center to clear app notifications. Simply opening the app should clear it out. I am 63 years old and called and asked for help about paying it forward and she told me I had to have to do it online I don't know how to do that! My window got broke and I had no money to pay for it and this lady at Safelite decided she was going to pay for it out of her own pocket. I really enjoy listening to the newscaster at 11::00 am. And the weatherman is also excellent. Ryan and Andrew make a great team.